My first impressions of India were experienced from the backseat of a cab, leaving Mumbai airport just before dawn. The air thick and humid, tangible but not pressing. Warm but not hot. The street scenery had the stereotypical Indian feel: charming small shops, colorful signs, surfaces uneven and chipped, stains and rust. Auto rickshaws scooting around on streets riddled with potholes caused by the last monsoon. People walking, bicycling and sitting around. Some sleeping, on cardboard or in the back of trucks. Street dogs trotting along the street, avoiding traffic and scavenging piles of trash that they come across. The city was bustling even though the day hadn’t even started. Traffic was a bit chaotic, with no clear lanes, few traffic lights and, as a result of that, a lot of honking. But it’s not the pissed off kind of honking that we have in Scandinavia; this is more of a prompt but non-offensive way to let the others know you’re about to pass. Several honks later we were crossing the Vashi bridge, over to Navi-Mumbai. Sidd got off in Navi-Mumbai since he had some business to take care of regarding the office relocation to Pune. The driver, Adinath, would take me to the apartment block in Pune, in exchange for the remaining 350 rupees. Sajjad was already there so getting into the apartment wouldn’t be an issue. 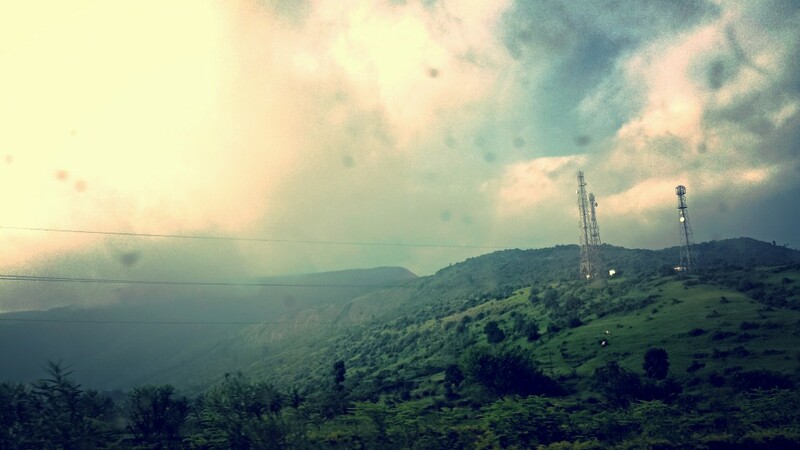 So we continued towards Pune. The sun higher now, illuminating our surroundings. Slowly the complex cityscape of Mumbai switched to lush green hills and winding roads. Tired from the day so far, I dozed off a couple of times. Some moments later we arrived at the apartment block. After some asking around I got to building J, and up on the 11th floor the door of apartment J1103 was ajar. Inside I was greeted by Sajjad, who was cleaning the place up a bit. Nice fellow, we chatted for a bit before I got to my room and started unpacking. The apartment is nice and spacious, but with the exception of the bed that Sidd so nicely had arranged for me there was no furniture whatsoever. It’s a project we’ll have to do step by step. After Sajjad left for the office I took a little powernap. An hour later, feeling just a bit more human, I got up, took a shower and headed out. Finding the office was easy, a 15 minute walk from the apartment. With Sidd’s warning – about drivers not stopping for pedestrians – in mind I crossed a few roads and eventually got to the Prabhavee Tech Park, where our office is located on the fourth floor. It’s a tidy space with AC and a partial view over Baner road. Unlimited water and coffee supplies. After work we headed to the D-Mart where we shopped a lot of basic supplies and stuff. Now the surfaces in our flat are a bit more cleaner and, hey, I have curtains! After dinner at a small local restaurant – shahi paneer with some jeera rice – it was time for me to finally call it a day. With the exception of a few hours sleep I had been up since Tuesday morning, 8 o’clock. My lights went out on Wednesday at 21:00, Finnish time. Quite a first day.